Cort keeping an eye on the 8am while working through her deadlifts. Courtney, Jordan and Aileen fighting for their 10 cals on the Xebek bike. 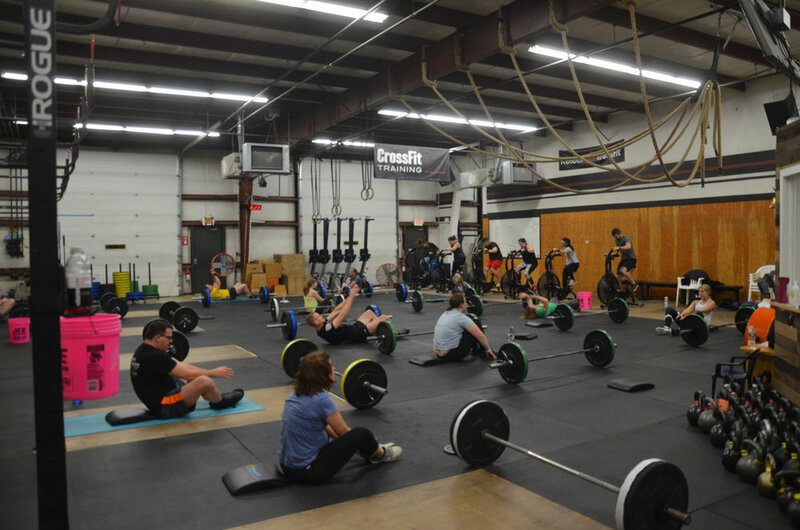 Packed house for the 6pm class tonight.